If what the tapes say are true, it means that everything we think we know is a lie. And if everything is a lie, does that mean that we are, too? A gripping, fabulously imaginative sci-fi story for older children from debut author Mike Lancaster. 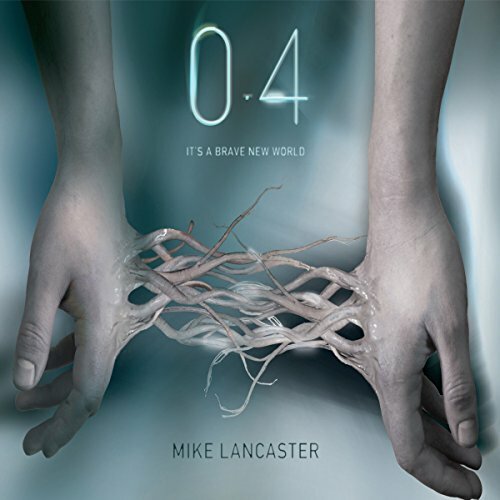 ©2011 Mike Lancaster (P)2014 Audible, Inc. So Poor & weak it makes the mind boggle. I thought id try something new and a bit different. I read the splurge and thought this might fit the bill. Turns out it was utter guff. The story itself is bland. There is no twist and the characters are so poorly portrayed that I personally didn’t give a hoot about their outcome. The book could be improved if the so called tapes had been dramatized rather than a narrator who isn’t particularly good anyway. The book reads like a very poorly written book and nothing like they were taken from tapes. Nobody talks like this and seeing as the story relies so heavily on this fact. It was self-indulgent bilge from what I can guess written by a slightly below average 16 year old G.C.S.E student who spends too much time playing on his computer without any genuine human contact. I feel out of the 167 books on audible that I’ve listened to so far this was the worst. It pains me to think i used a full credit on this when there are so many fantastic books on here. I did not anticipate the ending at all -- despite the fact that this is a short listen, and probably geared toward teens, I found it completely enjoyable, moderately thought-provoking, and entirely worth it. I highly suggest this if you enjoy dystopic stories or any sort of technology. Liked the read a lot, yet the plot 'twist' wasn't that unpredictable. The story arc follows the standard ruled and you get enough hints during the story. It was a nice leisure read and an interesting premise. What did you love best about 0.4? It's not often that I am caught off guard by a story's ending. I often find myself noticing subtle clues that lead to the "big reveal" at the end. But with this story, all of my guesses turned out wrong. It wasn't until the final scenes that the actual plot struck me, and it was thoroughly enjoyable. What does Thomas Judd bring to the story that you wouldn’t experience if you just read the book? I enjoyed the way he switched from the future perspective analyzing the story told by the protagonist and the actual tale itself. It made me wonder how people in our future will interpret things we leave behind. Other than being a little blind sided by the ending, I didn't have any particularly extreme reactions. This book was a genuinely good listen/read. I will probably listen to it again and see if there are any subtle clues to the end I might have missed.